Effective scorpion control is differs from general pest control through product selection and treatment methods. Scorpions are built survivors, and one of the hardest pests to control, so scorpion control treatments must be specialized to work. There are hundreds of good professional pest control products available today, and they work great for general control of common pests (like: ants, roaches, crickets, spiders, etc.) Scorpions aren’t killed by most of these products, unless they’re sprayed directly, making them much less effective for scorpion control. To make matters worse, there are many professional pest control products labeled for scorpions that do not work well. Modern pest control is designed to continue working long after it’s applied – This isn’t true with scorpions and most pest control products. Knowing which products work, and where they work, produce successful scorpion control. If you want scorpion control that keeps working for an extended period of time, not just killing on contact, products must be specifically formulated for scorpions and combined with agents to get extended exposure. Scorpion pest control treatments differ from general pest control because sheltering areas must be thoroughly treated. This includes dusting in wall voids, dusting inside block wall fences, treating weep areas around the exterior of homes, applying correct products in every nook and cranny scorpions shelter in. General pest control is effective with a less thorough application because most pests require less exposure o products for control. And most general pests, like crickets and desert roaches don’t stay in sheltering areas concealing themselves like scorpions do. 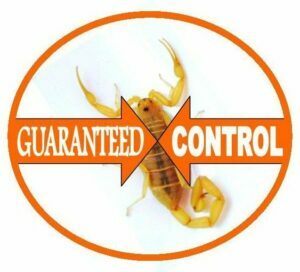 Providing EFFECTIVE Scorpion Pest Control in Mesa, Phoenix, Chandler, Glendale, Gilbert, Scottsdale, Queen Creek, Maricopa, & ALL surrounding areas. Great overview here of the difference from regular pest control to scorpion pest control. Those little guys do really get into the small sheltering areas! All you need is the scorpion control service! Because scorpions are one of the hardest pests to control, our scorpion pest control service will eliminate scorpions and all general pests including: spiders, ants, most roaches, crickets, etc. Does your scorpion pest control only treat scorpions, or does it include other bugs too? Do I need a pest control service and a scorpion pest control service, or will the scorpion pest control service do both? Why don’t you guys put the powder around the base of the house and fence for scorpions control?